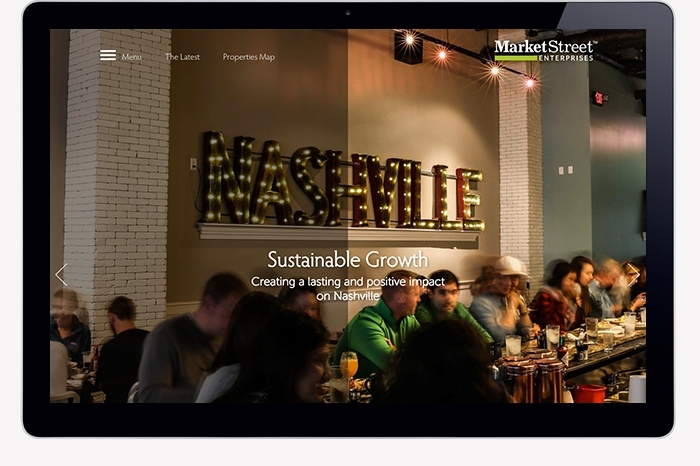 MarketStreet Enterprises is a privately held real estate investment and development firm that strives to create a lasting and positive impact on Nashville’s built environment in a commercially responsible fashion through quality development that respects the unique character of Nashville’s urban core. 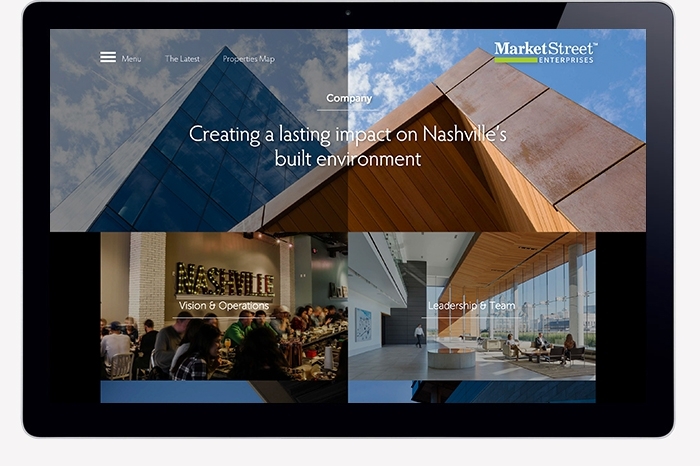 In 2000, MarketStreet began the thoughtful development of the Gulch, an area of over 60 acres in the heart of downtown Nashville, with the vision of creating a thriving urban neighborhood. 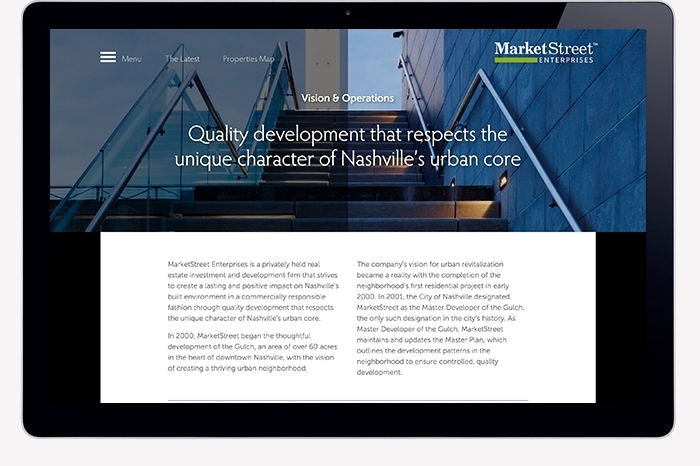 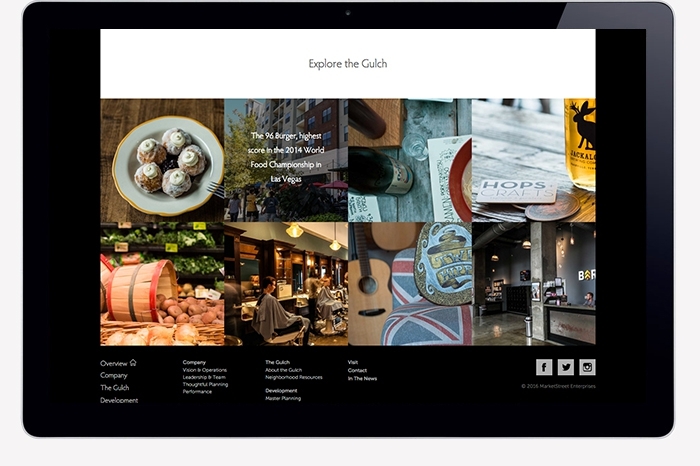 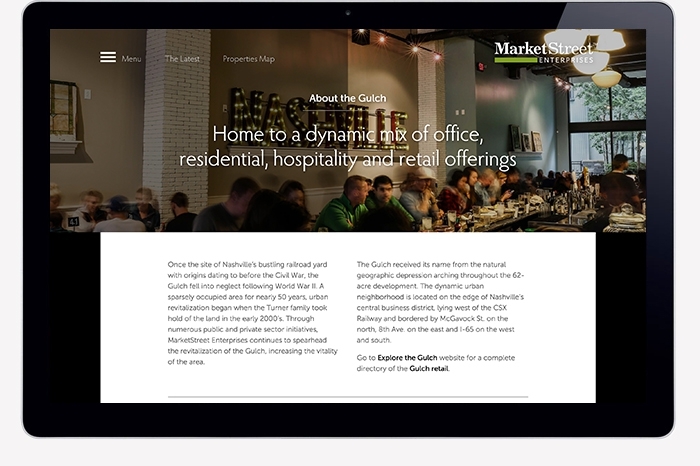 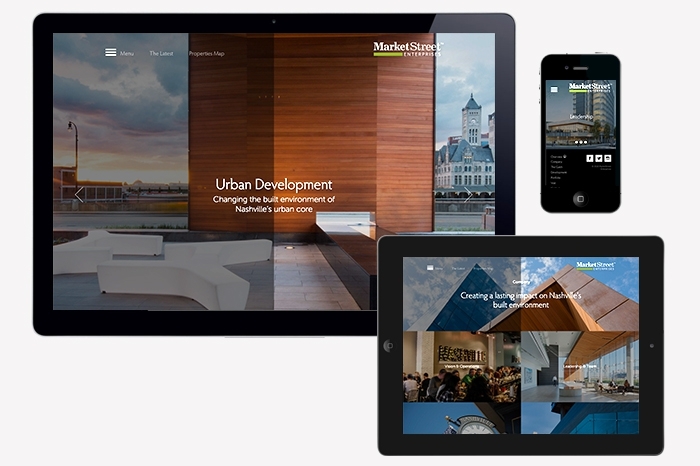 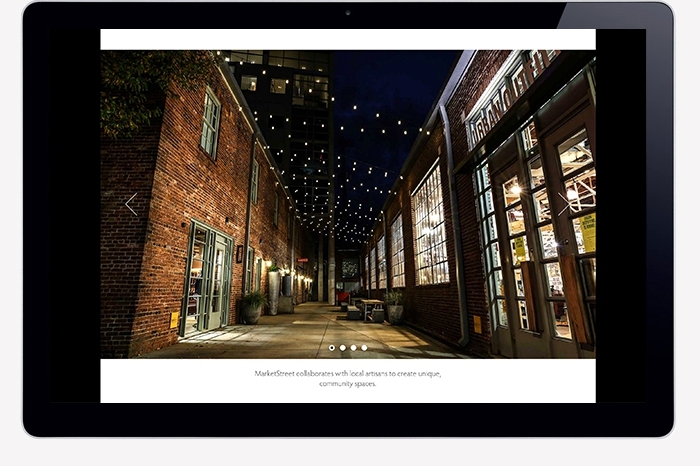 Using compelling page design and responsive layout techniques the new MarketStreet website is optimized for ease-of-use on mobile, tablet and desktop devices. 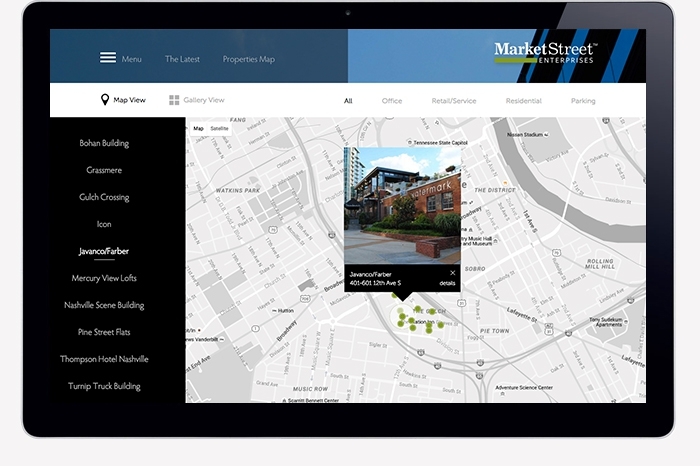 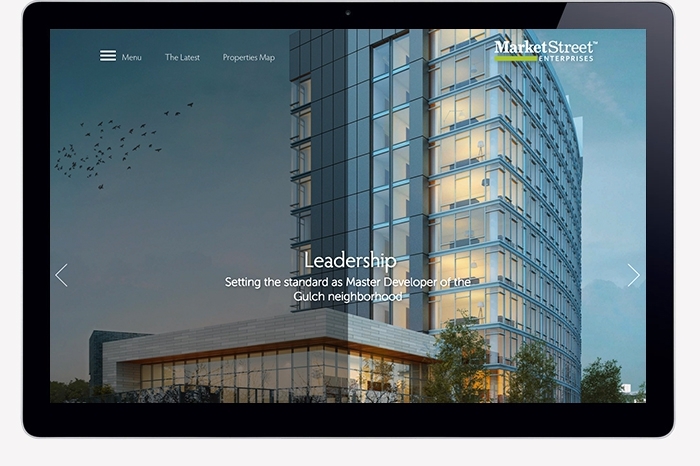 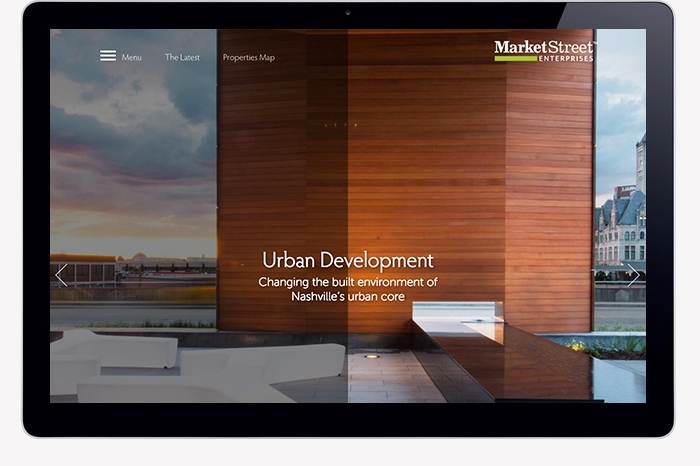 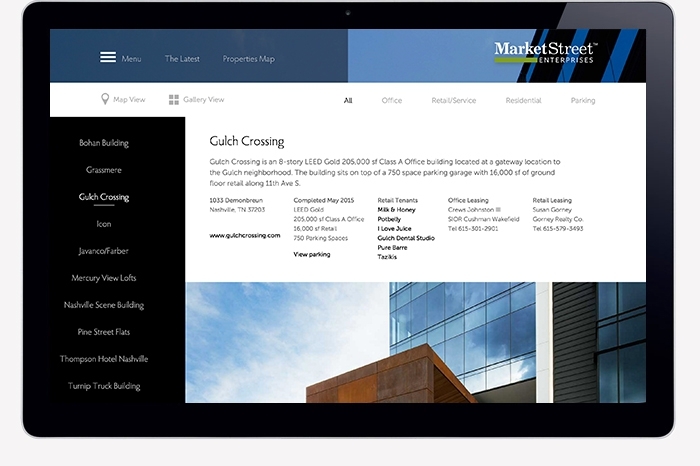 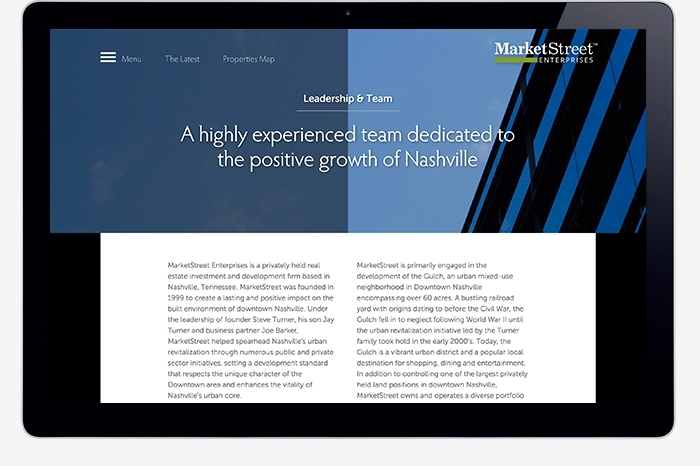 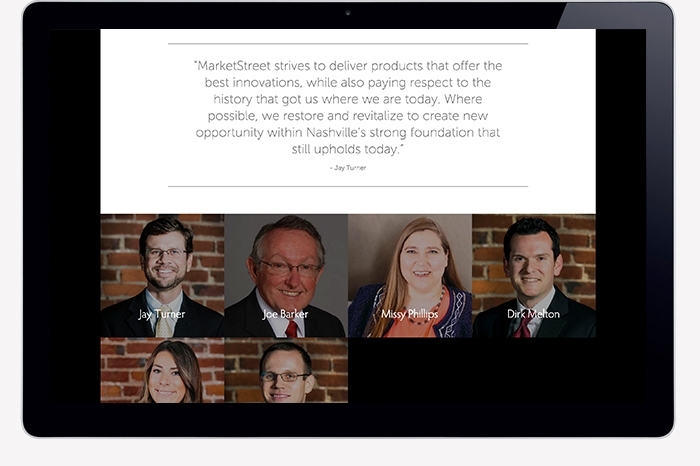 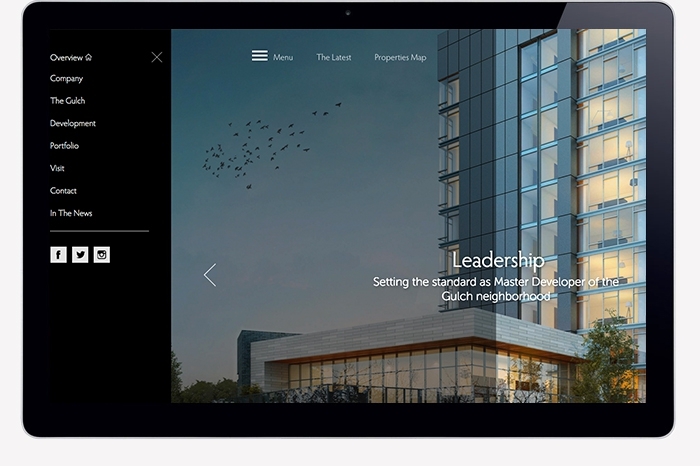 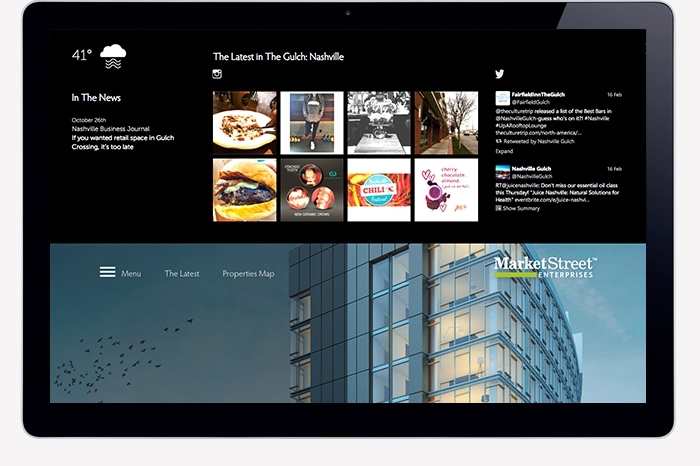 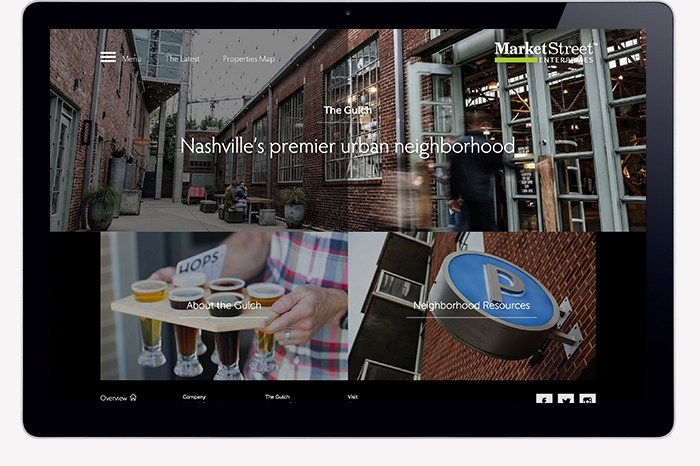 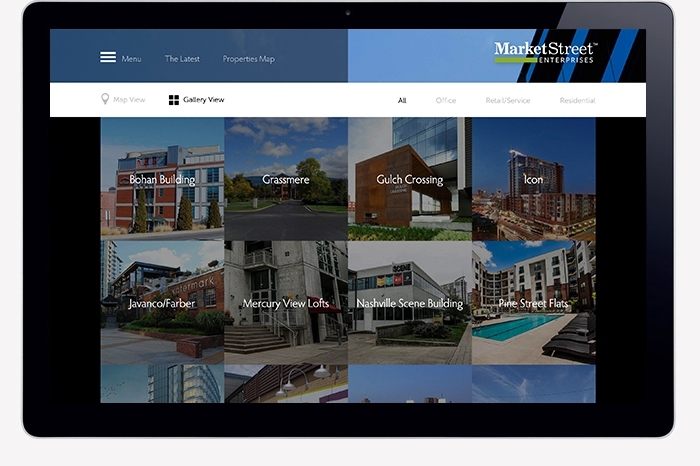 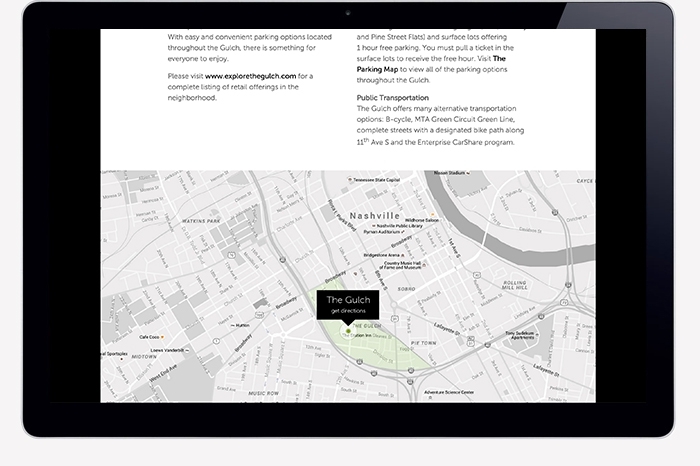 Featuring immersive imagery, a robust properties map and team profiles, the site positions MarketStreet as the leading property developer in the Nashville urban core. 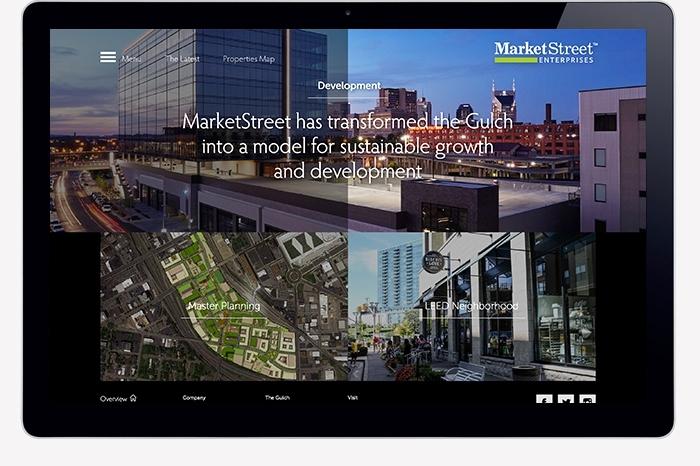 As a means to expand the company’s development influence, the site highlights the good works and strategies developed in the Gulch over the past 15 years, ranging from residential towers to eclectic and name brand retail offerings to high-end hospitality and class A office space. 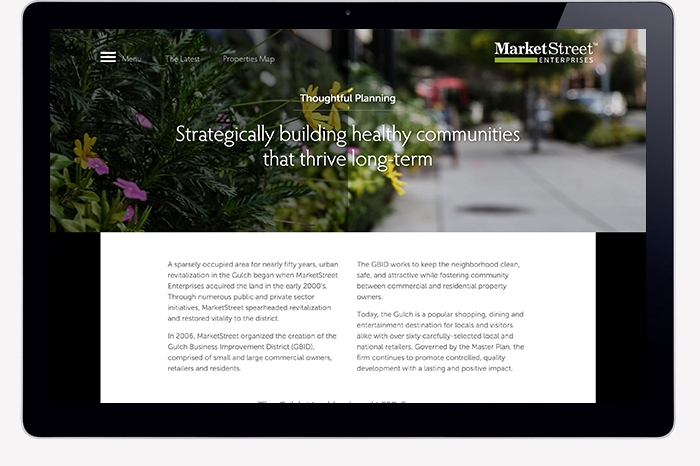 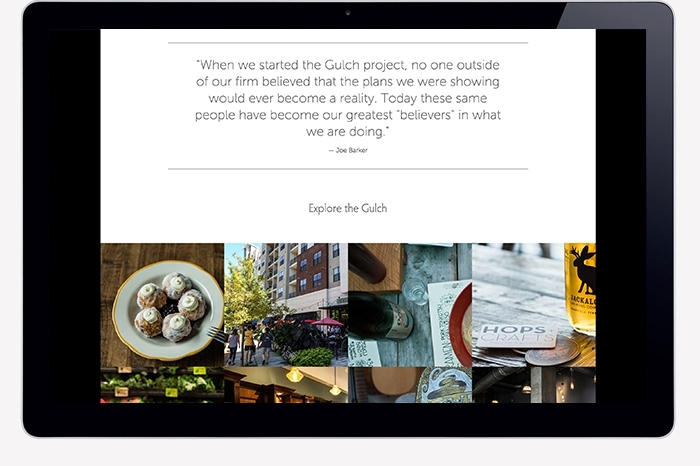 Custom designed for WordPress, the site is modular to grow with new initiatives in and around the region.